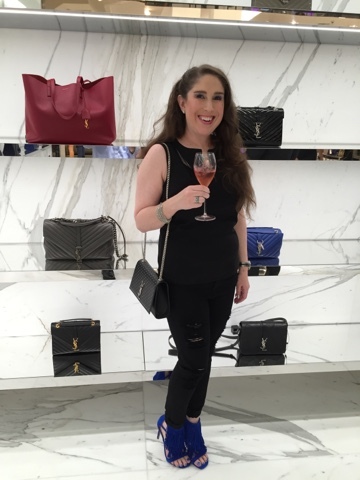 I was invited to attend the grand opening of the remodeled handbag department at Neiman Marcus Beverly Hills. Of course, being the High Heeled Brunette, shoes are my first love, but handbags come next! Neiman Marcus has been remodeling their store. They have done such a great job with not letting the construction interfere with a girl's need for shopping. The store looks beautiful and they are only half way though the redo, can't wait to see the completed project. 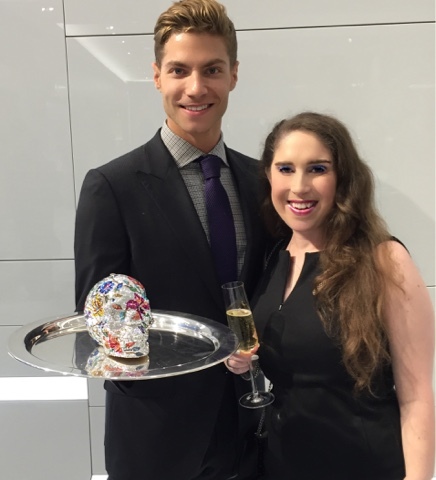 I walked in and right away I saw this handsome model holding not only Judith Leiber on a silver tray, but a Judith Leiber skull clutch!! It is so amazing! 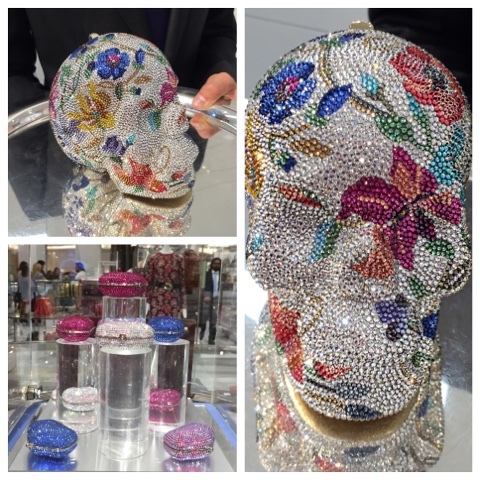 Skulls and bling are a winning combo any day. The detail on this bag is amazing. It really is gorgeous. Of course I picked up a glass of Champagne on the way to the bling. Thank you Laurent Perrier for your Champagne tasting bar. They are all delicious! If you made a Judith Leiber purchase it came with one of these cute little pill boxes pictured above as a gift. This was absolutely gorgeous. 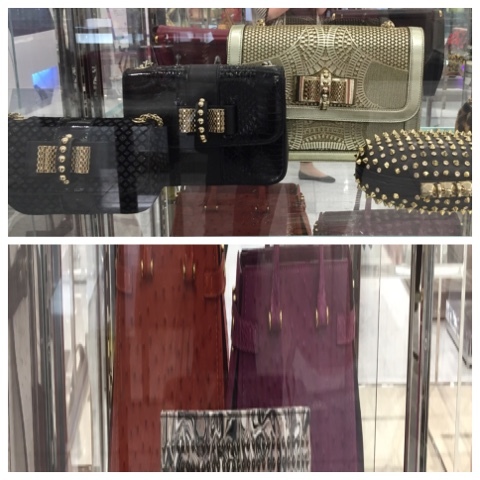 Beautiful models and more Judith Leiber. 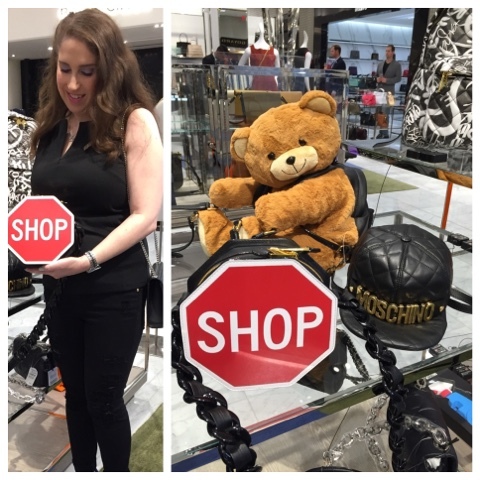 This "SHOP" Moschino Bag caught my eye immediately. It is the cutest thing ever and is so me! And the teddy bear is even cuter. 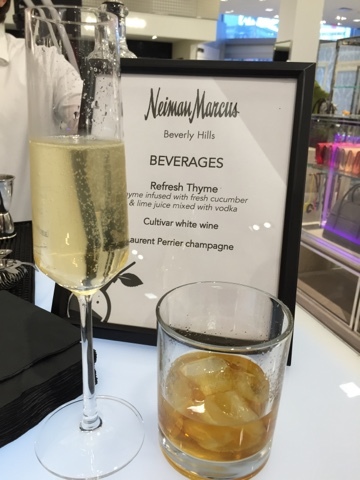 Neiman Marcus always has fab cocktails. There was a bar with champs and whiskey for the hubs. As you all must know by now I am obsessed with Saint Laurent. 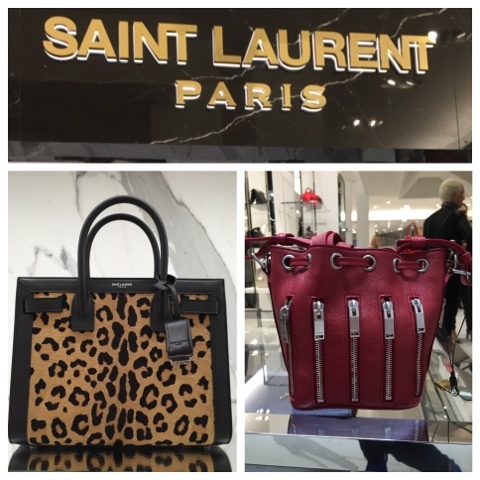 There is a Saint Laurent boutique inside of the store. As you can see by my pictures they have a beautiful boutique and a fabulous assortment of bags. This Saint Laurent bag attracted me like a magnet. I went straight for it and had to try it on. It really is gorgeous! Fringe is the must have for this season. Look at my shoes, I think this bag works with them. 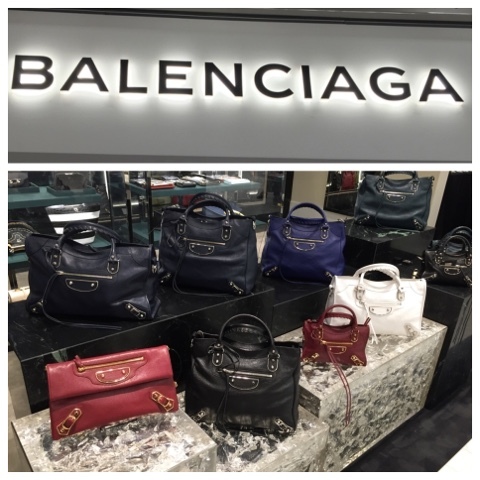 Balenciaga also has their own boutique inside the store. There was the yummiest ice cream station at the party. 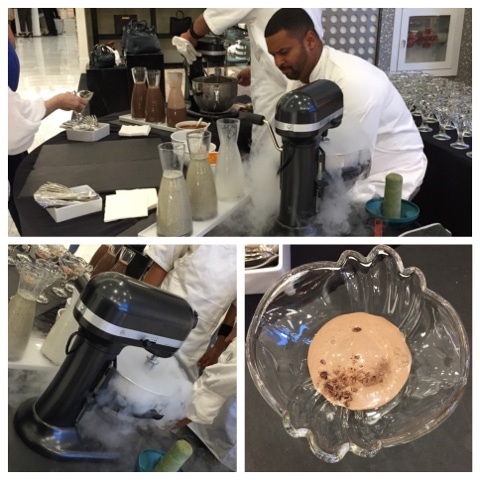 The ice cream chefs were mixing in liquid nitrogen with the cream to freeze it and producing a very delectable treat! I have to admit...I had two! 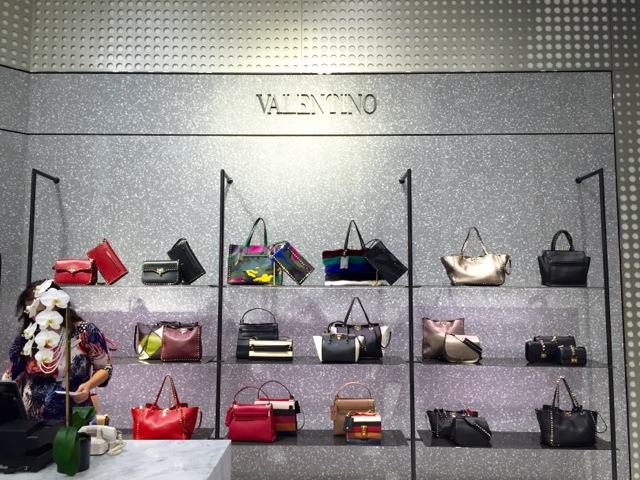 I think the Valentino bags are displayed beautifully on the wall. 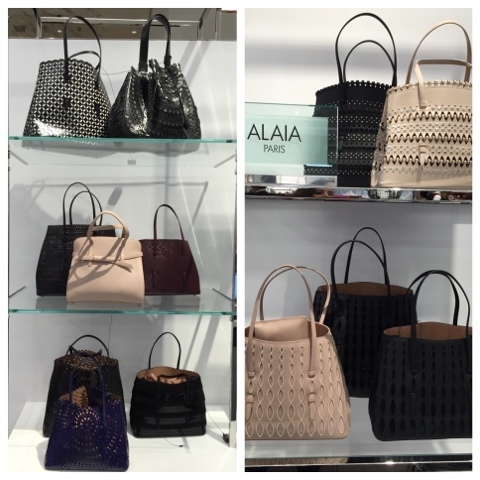 I always have to stop and drool over the gorgeous Alaia bags. A girl can dream right?! This is the Christian Louboutin case. You know my weakness for Sweet Charity bags. 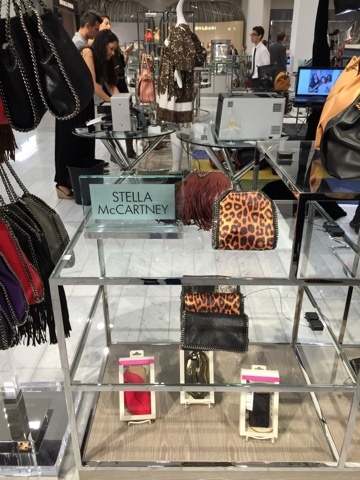 I thought Stella McCartney had a very nice display with a great assortment. 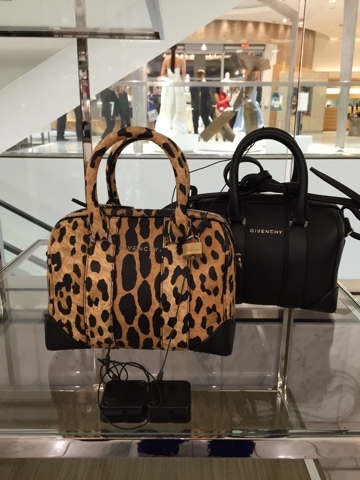 I have my eye on this Givenchy Leopard Bag. It is really cute and not too heavy. 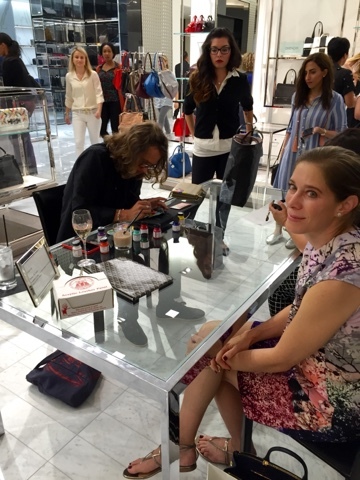 The event featured street artist Spencer "Mar" Guilburt who was available to paint designs on bags that were purchased at the event. Thank you so much for stopping by my blog! For more fashion and style inspiration please follow me on Instagram.